See images from the life and career of astronaut Sally Ride, the first American woman to fly in space. The White House and NASA say they will honor America's first woman in space, Sally Ride, by giving her a posthumous Presidential Medal of Freedom and putting her name on the camera she helped get installed on the International Space Station. Word of the memorials came as NASA celebrated the late astronaut's life and legacy at a national tribute titled "Sally Ride: A Lifetime of Accomplishment, a Champion of Science Literacy," conducted at the John F. Kennedy Center for the Performing Arts in Washington. Ride, who was trained as a physicist, became the first American woman to go into space when she was launched on the space shuttle Challenger on June 18, 1983. She made another spaceflight on Challenger in 1984. Two years later, that shuttle and its crew were lost in an explosion shortly after launch, and Ride served as a member of the panel investigating the tragedy. She left NASA in 1987 and went on to co-found Sally Ride Science, a company focusing on science education for girls. She died last year at the age of 61 after a 17-month struggle with pancreatic cancer. In a statement on Monday, President Barack Obama announced that Ride would be posthumously awarded the Medal of Freedom, the nation's highest civilian honor, during a White House ceremony later this year. "We remember Sally Ride not just as a national hero, but as a role model to generations of young women," Obama said. "Sally inspired us to reach for the stars, and she advocated for a greater focus on the science, technology, engineering and math that would help us get there. Sally showed us that there are no limits to what we can achieve, and I look forward to welcoming her family to the White House as we celebrate her life and legacy." NASA said a camera aboard the space station would be renamed the Sally Ride EarthKAM in honor of the late astronaut, who initiated the EarthKAM program in 1995. The camera was flown in space during five shuttle missions and was moved to the space station in 2001. The program makes it possible for middle-school students around the world to request pictures of specific locations on Earth. EarthKAM spawned a similar program known as MoonKAM, which was an outreach project flown as part of NASA's Grail mission to the moon. The space agency also established a Sally Ride internship program to help students from underserved backgrounds pursue research interests at one of NASA's centers. As many as 10 internships will be available in the spring and fall semesters of each school year, NASA said in a news release. "Sally's impact on our nation and future generations of explorers is immeasurable," NASA Administrator Charles Bolden said. "Godspeed, Sally Ride, and thank you for reminding us to reach higher, break barriers and dream big." Monday's tribute at the Kennedy Center highlighted Ride's contributions to space exploration and science. The presenters included Sen. Barbara Mikulski, D-Md. ; tennis legend Billie Jean King; singer Patti Austin; and journalist Maria Shriver. 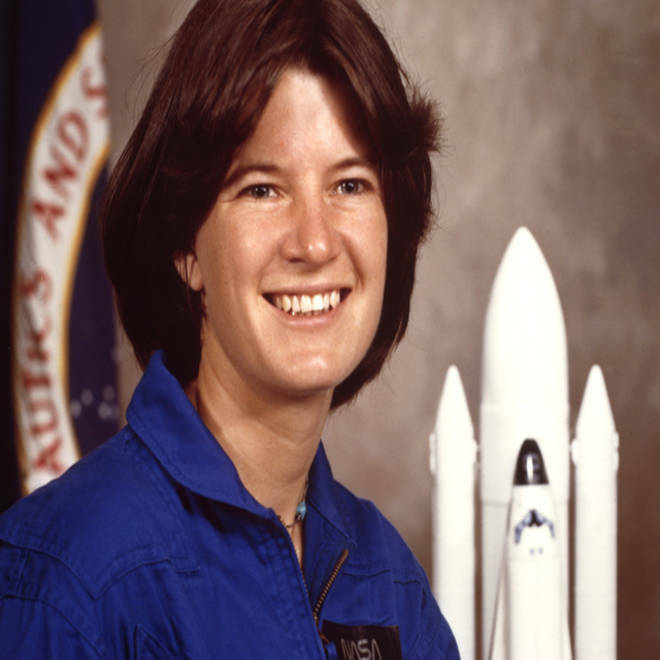 "Sally Ride Science is thrilled to be presenting a national tribute to Sally to honor her lifelong commitment to space exploration, but also to improving science education and to supporting science literacy for all students," Tam O'Shaughnessy, Ride's life partner, co-founder and chair of the board of Sally Ride Science, said in NASA's news release.